Halton Region is widening Dundas Street (from Neyagawa Boulevard and Oak Park Boulevard) from four to six lanes. 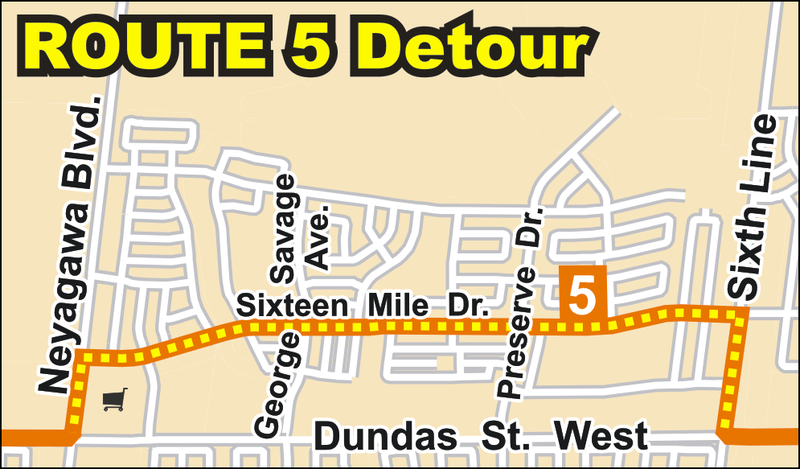 During the construction, Route 5 will be detoured via Sixth Line, Sixteen Mile Drive and Neyagawa Boulevard in both directions. Please expect delays of approximately 5 minutes along the detour routing in either direction. Stop #3037 - eastbound at Dundas and Neyagawa. Customers can use stop #2128 on the east side of Neyagawa, north of Dundas. Stop #3422 - eastbound at Dundas and Towne. Stop #2207 - eastbound at Dundas and Harman. Stop #3039 - eastbound at Dundas and Sixth Line. 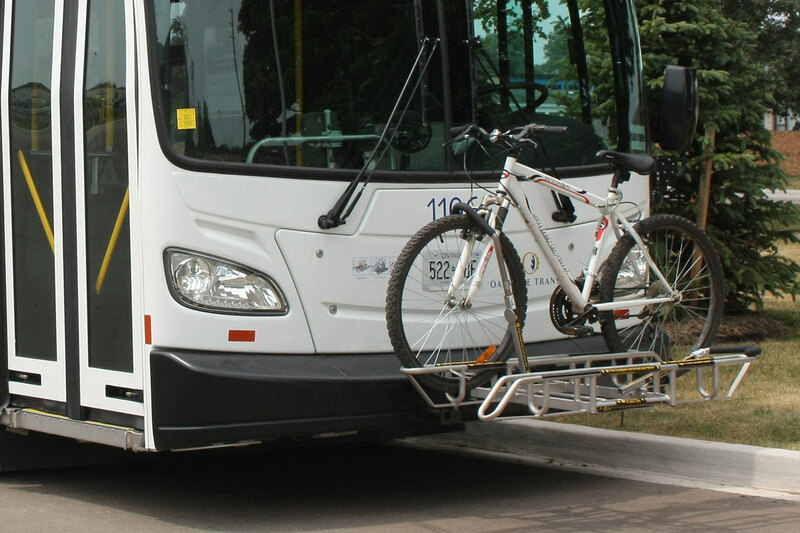 Customers can use stop #2115 on Sixth Line at Kaitting Trail. Stop #3038 - westbound at Dundas and Sixth Line. Stop #2208 - westbound at Dundas and Preserve. Stop #3423 - westbound at Dundas and George Savage. Stop #3036 - westbound at Dundas and Neyagawa. Customers can use stop #2131 on the west side of Neyagawa at Dundas.